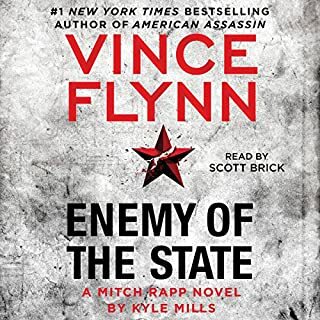 This was a bit of a departure for Mitch Rapp, and a great read (or listen). Nice collection of characters. Kyle Mills continues the adventures in a great way. Regarding the performance. I really like Scott Brick..... BUT not here. I told myself it was just a change that I'd get used to, but, no, it's not like that. The Guidall presentation is so perfect. He is part of the Mitch Rapp we're used to, and he presents all the other characters and paints scene in a certain way that &quot;makes it&quot;. It's just not the same. Please bring George Guidall back to make the story whole again. Cannot Get Enough of the Prey Series. 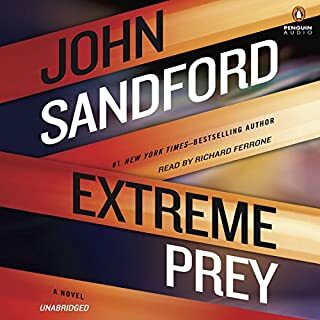 What made the experience of listening to Extreme Prey the most enjoyable? Sandford's stories are the best - full of suspense and interest, full of great characters, just enough humor sprinkled in - - masterful. Richard Ferrone is the perfect narrator for the stories. Couldn't be a better match. What was one of the most memorable moments of Extreme Prey? Sorry for this cop out - - the whole thing was great. His narration is perfect. 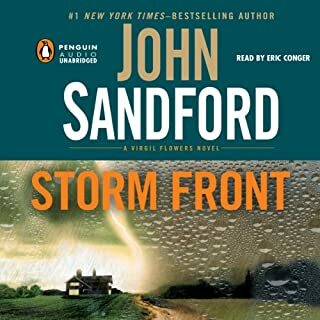 He makes John Sandford's already fabulous character development, even fuller and richer. Richard Ferrone brings the main character, Lucas, to life in exactly the right way. He makes listening to the book a much bigger experience than reading the hard copy. He's also spot-on at delivering the humor in Sandford's books. 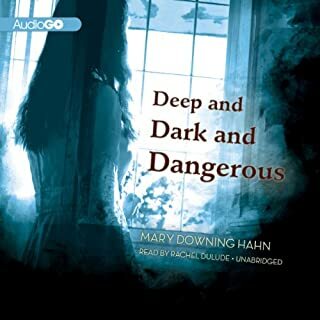 Where does Deep and Dark and Dangerous rank among all the audiobooks you’ve listened to so far? In the upper 30% - and I have listened to hundreds of audio books. What was one of the most memorable moments of Deep and Dark and Dangerous? The canoe ride into the lake. Have you listened to any of Rachel Dulude’s other performances before? How does this one compare? This is the first of Rachel Dulude's performances I've listened to. 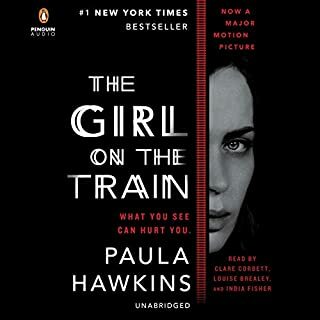 I had to admit it, but I typically dislike listening to female narrators. Rachel Dulude did a very good job with this book and it was a pleasant experience. 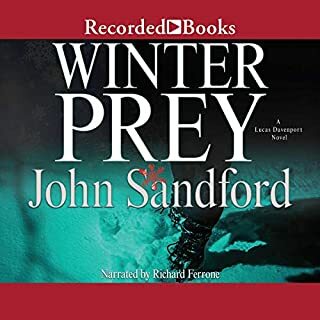 Would you consider the audio edition of Winter Prey to be better than the print version? Don't know - never read the print version. I would think it's better. Listening to Richard Ferrone narrate a great story is a wonderful experience. What was one of the most memorable moments of Winter Prey? Having listened to all available books in this series, re-listening to this was special. Revisiting Lucas's first meeting Weather was really cool. Having listened to all available books in this series, re-listening to the time when Lucas first meat Weather was really good. A great book; well worth the time to listen. ?? I didn't read the print. Enjoyed the audio just fine. What other book might you compare 14 to and why? Can't compare. Very cool concept. The whole thing was very good. I always wanted to hear more; never "endured" the experience. This was very entertaining and suspenseful. I enjoyed it a great deal. No Wonder it's a Movie!! If you could sum up The Martian in three words, what would they be? 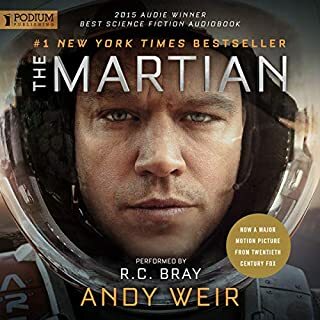 What other book might you compare The Martian to and why? Love the performance! Bray did a GREAT job with all the emotions and situations. Super job with character differentiation and emotional range. The whole thing was very gripping. This is not a book I would have chosen on my own. My husband wanted to see the movie and then I heard a podcast that shared really cool things about the book's creation and it's accuracy (maybe feasibility is a better word). So I got it and I'm SO glad I did. I couldn't stop listening. Great book.Great performance. YES! This book was a blast from the opening lines. Loved every second. Just a super fun book. I'll certainly "read" it again. The end of the "game" and when the gifts were bestowed. The main character was my favorite, though I really liked H also. I don't know how this book would NOT become a movie. It seems perfect. I don't do tag lines....sorry. The book is great and the performance is excellent. There was no confusion in the book as to who was talking, where they were, or what was going on. 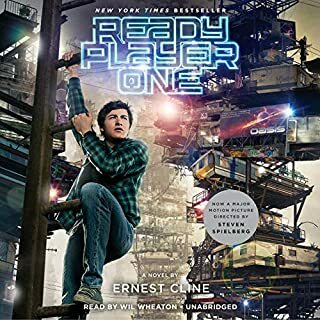 The character differentiation was very well done and the voice was very pleasing to listen to (at least for me - I know that's a personal thing...). This book went down easy and I'll listen to it again. Absolutely! 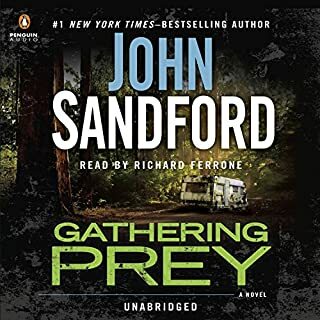 I would and do recommend John Sandford's books at every opportunity. What was one of the most memorable moments of Gathering Prey? Lucas's reaction to Letty's driving. Lucas. Flowers. Letty. Weather. Can't decide - I love them all. I love these books - - always checking in to see if there is a new one. Richard Ferrone does such an amazing job of making the story and the characters come to life. I've listened to many of these books multiple times. They catch my interest in the first minutes and keep me intensely tuned in the entire time. I'm totally spoiled with how Richard Ferrone makes the characters unique and I'm never confused as to who just did or said what. Just fabulous. Less time spent in the sad misery of the main character's life. I kept feeling like, "the gal is a mess; I get it already." The time spent in the main character's misery was a bit much. I know there needed to be character development and a build-up, but it went on a bit long. In my humble opinion, the character differentiation was poor. I had to work harder than usual to listen for names rather than having the sounds provide that for me. Frustration. 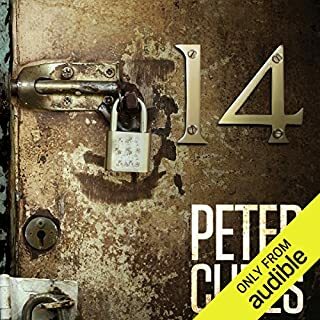 During the first half, I was thinking I'd had enough and I was going to return the book (something I've done only once before in my many years and many books with Audible). The high ratings made me stick with it, thinking, "it's got to get better." The end was pretty decent, but it wasn't worth the ride for me. My tastes are obviously much different than those who rated this book. It was not a pleasant listening experience for me. As usual, I was engrossed from the start and had a hard time not listening. I've listened to all the Sandford books. Eric Conger is a fabulous narrator and he makes the Virgil Flowers books so much richer. He hits the humor dead on. The characters are awesome much because Conger's presentation. I've been tempted to look for other books just to listen to more Eric Conger. As usual with Virgil Flowers books, there were many moments where I truly did LOL. With a couple of them, I replayed them because they were so funny!! The Sandford/Conger combo is outstanding. It just doesn't get any better than these.